Welcome to the 2015 Golf Preview, where I’ll take a look at selected golfers and examine what to expect over the next twelve months. Today, we look at Tiger Woods. Played in twenty major championships. Missed six majors due to injury. He’s also had numerous surgeries and is now on his third coach as he approaches his age 39 season. In 2014, Tiger had his worst season as a professional, playing in just eight tournaments because of a back injury. His best finish came at Doral where he ended up tied for 25th and after attempting to play at the PGA Championship, which resulted in a missed cut, Tiger announced that he would be taking a break. As expected, he came back at his own tournament and even though he finished in last place, thanks in large part to chunking a ridiculous nine chips, there were positives to take from the week as well. The full swing, a source of much conversation over the last couple of years under coach Sean Foley, looked much more fluid and athletic when compared to the mechanical version that had become so prominent in the Foley years. Perhaps most importantly, he actually looked healthy for the first time all season. As he enters 2015, Tiger is ranked 32nd in the world and the players in front of him are much younger than in years past. We all know that Tiger’s goal is still to pass Jack Nicklaus’ eighteen career majors won, and even if you ignore his own issues with performance and health, winning tournaments is harder now than its been at any point in his career. 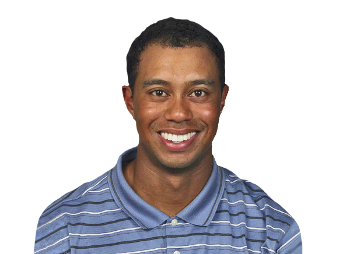 Tiger grew a goatee 34 times. The U.S. actually won a Ryder Cup. You get the point. It’s not Stenson level bad, but this thing could use an update almost as much as Tiger could use another green jacket. Even with the relative lack of success over the last few years, whenever Tiger Woods plays in a tournament, there’s an extra level of anticipation and it just seems like a bigger deal when he’s in the field. I know that a lot of people will scoff at that notion, but it’s true at least in my mind. He’s still the player that moves the needle more than any other, which could be a commentary on the state of the game more than anything, but even with the quality of the players involved these days, he’s still the guy that most people want to see and talk about. There’s still some brilliance in there too. Remember that the last time he was actually healthy, he did win five times on the PGA Tour, which for most players is a successful career. I’m sure I don’t really need to give people a reason to tune in to watch Tiger Woods, so let’s just move on. Tiger just hit a draw down the middle of the fairway with the driver. What a world. Am I a little over excited? Maybe a touch, but it was the best I’ve seen him look in a long time, you know, minus the chunks. When it comes to Tiger, there’s really no reasonable level of expectation both from himself or people who live outside the ropes, but it’s important to discuss. At the end of 2015, Tiger will be 40 years old and with the mileage on his body, he’s probably nearly ready for the Champions Tour. He’s also going to be adding tournaments to his schedule for the first time in what seems like over a decade in an attempt to get himself ready and back into playing shape. As I mentioned earlier, the last time we saw Tiger healthy he did manage to win five times and I have no doubt that at three wins away, he’ll pass Sam Snead for the most ever PGA Tour wins at some point before his career is over. The way he looked at Isleworth has me very intrigued, mostly because he looked healthy and I have a really hard time believing that we’ll see his short game be in such tatters the next time he tees it up. In my full season preview, I predicted that he would win the Masters, and I’m sticking by that. Maybe that falls out of the parameters of reasonable expectation, but my bet is that if he can stay healthy, he wins two or three times in 2015. It’s hard to believe, but it seems like Tiger is running out of time to catch Jack and with his injury history, it actually feels like Tiger might only have one more run in him. There are tons of people who will tell you that he’s done, but I honestly don’t believe that, and you know that he doesn’t believe that either. You can make the argument that 2015 is a year that Tiger enters with more uncertainty than ever before, but if there’s one thing that we do know, it’s that he’s definitely going to keep things interesting. That’s about the only reasonable expectation we can have for Tiger Woods at this point. It is great to see Tiger back, however I am not sure he will be as big a factor as everyone thinks! I have Rory McIlroy winning The Masters. It will be his only Major of the year. Love the reviews.